So I had a look at outlook and sure enough there is no simple way to extract all the attachments of every email in a folder without going through each mail one by one. There has to be a better way ! UPDATE: 2 Dec 2015 – This post has been running for over 5 years and still going strong ! Andrew Davis has submitted additional code that allows for the same filename to be saved. 2. Right-click on this File and save it to your computer where you can find it again. Once it is downloaded, extract the one file in there and place it in the MY DOCUMENTS folder. 3. In the ZIP file you have just downloaded is the Macro file. So now we need to Import it into Outlook. Click on File, Options, Customize Ribbon and then put a Tick on the Developer on the right-hand side. Click OK and it will appear. You are now ready to use this ! 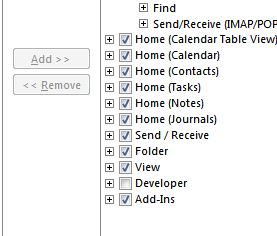 Simple click on Developer tab, click on Macros and then Macros again, select the GetEmailAttachments and click on Run ! You will now find under your My Documents folder a new Folder called Email Attachments where all your attachments will be saved. Outstanding! You are brilliant – thank you for this cool tool. can you please publish the script for this macro so that we know there are no hidden gems ?? ‘ This path must exist! Change folder name as necessary. I have a problem of dragging an dropping email attachments and email messages from outlook 2013 to the container filed on the solution developed in FileMaker v14. I believe its a limitation from Outlook side. Can there be an add in developed for outlook for the same purpose? When I try to create an auto rules as message arrive , I don’t see the vb module in the selection. Am I doing something wrong here? I have tried the code several times and it worked great. However Now I am faced with a problem using it. I have received several outlook item in one mail and in each outlook item is an attachment and within the attchment is the excel file. I want the code to pen each item and then each attachmentand save the excel file to my folder in my documents. Right now when I used the current code it does save the item to my folder in my document and I need to open each and very folder to save the excel file which is tedious. Thank you very much! Worked great in Outlook 2007.
hi – i am using outlook 2010 – i have lots of screenshots that have the same name – this awesome macro isn’t working I think because it’s ignoring files with the same name? is there a quick way to rename the incoming files? thanks lots. Friend, this code is great! I use Outlook 2007 and when I run the macro for about 700 emails in a particular folder it saves 400. Am I doing something wrong? First Thanks for responding, note that this code is 10. I discovered what it was, the attachments were named like that. Prepending the “icont” and it worked. Our !!!!! this code was excellent. Congratulations. I would rather it work on only selected messages – any cance of changing the code to do that? I understand if you just ignore this? What you can do is create a folder and put in there the messages that you want to extract the attachments from. yip – it wasn’t built with serious volume in mind but more of a way to show HOW to extract it and that it CAN be done. If you have really large folders, best to split them into multiple folders and run the Macro on each. Not too familiar with how VBA macros work, but I was able to adapt this for Outlook 2007. Thanks so much for your help :)! Import the .bas file from the download. Save. I have an Outlook folder where I receive PDF attachments from a common scanner at work, I was trying to extract 91 files and it took a minute or two to complete the macro, where Outlook will appear unresponsive, but just be patient, especially those that appear to be trying to do more in a shot. Anyway I found this tool helpful and I thought I’d contribute notes for those that are trying to adapt this for outlook 2007. Awesome – thanks for taking the time to add to this. I am sure lots of people still use Outlook 2007. Extremely useful macro, thanx so much! Worked great! Thanks! The only thing I wish it could do is to keep the original date the attachment was sent. Any way to modify this to do it? the folder is automatic to keep it simple and avoid complication. Thankyou, saved me a lot of time and a headache! thanks. you made my work a whole lot easier… used to extract 741 files! OMG – you just saved my bacon!! Brilliant!! I have a question, can you add to the VB Macro script the ability to tell the difference between read and unread emails and only extract the attachments from unread messages to the Specified output folder? I have users that have hundreds of faxes that are attached to emails come in daily and it takes more time to have to re-download every attachment when they run your script rather than just the ones that are attached to emails that haven’t been read yet. Other than that the script works great for what is was originally designed to do and makes it easy to implement for any beginner or novice user!! You are a Gem Liron. Worked for Outlook 2010. Thanks a lot sir. Nice tool I have been looking for since long back. Thanks so much. This macro really did the job for me! Still working great in Outlook 2013! FIXED IT MYSELF, THANK YOU WORKS A TREAT! Using Outlook 2010 and getting msg: “The macros in this project are disabled. Please refer to ..user docs.. to determine how to enable macros”, when pressing “Run”. Any suggestions? thanks in advance. I’ve got the same issue – did you manage to resolve it? Thanks! Great macro. One thing – it seems to freeze up on my Word Documents. Anyone else have this problem? Never mind — worked the third time. I agree with everyone here. This is brilliant, and saved me so much time. Thanks heaps. But can you tell me how can i use this “amendement” ? Where do i have to place it ? I have to edit the initial script ? I have to extract a lot of files, and this is a gem! Thank you so much. Great tool, but I wonder if there is a simple way to add another level of functionality. I work on a Service Desk, and have users that are sent emails that have Outlook items attached to them, and within each Outlook item, there is a Word document attached, of which they need to open and print. To avoid a lengthy process and save masses of time, we were investigating using this tool to export the attachments to a folder, but it only exports the Outlook items. I was wondering if it could be tweaked in any way, to extract attachments at any level, and then export all attachments into the same folder? This works like a gem. You are a wizard. We owe you all the beer you can handle! Would this extract and save something on the body in the email? E.g. :- A pic file.. like a screen shot pasted directly, not attached? What if two or three mails have different attachments but with the same file name? What happens to the similar names ones? Do all get saved to the Folder? This was one of those very few occassions when I found answered, exactly what I Googled for. Thank you – works well. Excellent, thank you so much for this. For the people that have problems with the cluttered Inbox, your suggestion of splitting the messages into 350 per folder worked perfectly. Dear Mr. Liron Segev. Thank you for sharing your code! It worked for me in Outlook 2013 exactly as is! It only took 10 minutes to extract 276 MP3s weighing in at 10.7GB! You saved me about four and a half hours of time, not to mention the astronomical mental health bills I would have acquired if I had to extract all those files manually! WOW! Great job. Thank you! At last, finally found a way to get the attached files in my email “ALL” at ones without opening each emails. Just awesome! Thnak you! Life saver! It works perfect when the emails are not archived. What if the email has been archived on a particular folder? It seems that it stops when I reach the archived emails. This is just great!!!! Thanks a lot! It saved me a lot of time. It’s great. Worked well & quick as well. Thanks, saved me a lot of time. Thanks, Just an fyi, chrome marks this download as malicious when downloading. One thing to note if there are multiple files with the same name you only get one of them. Thanks for a great macro this saved me a lot of time. Very smart indeed. The question I have is does the file up in the thread have this added VBA code in it? If not, could you be so kind as to post the updated code file that does not save duplicate attachments? I would appreciate it a lot. Thanks. I’m not familiar with VB code so it probably is something silly but I can’t see it. Shelli make sure you moved the “Set fso = Nothing” from the top of the code. There is one at the top and i believe that is what is causing this issue. If you just added this line than the code at the top of the file is still there…. I’m so beyond grateful that I could cry!! THANK YOU!!!! Is there a work-around for when the attachments all have the same name? Like what Adrian pointed out? Shelli see my reply to Andrian today. I’d be glad to but I sadly cannot attach the file as this comment field does not allow for attachments. To the author, do you have a way that i could send this file to you or do you have a github account i can submit the changes to? If author cannot post your updated file, can you consider uploading somewhere where we can download from? To Velani: I’m was hoping to hear back from the author before I post the script because they did all the original work and I’d like for the author to host the file here. Let’s give them a bit to answer and if I don’t hear back from them i’ll find a way to post it for people to use and give credit where credit is due. Hi Andrew, havent been following this so missed this topic. Please send me what you were looking for and I can do an update. Please also comment your bit so you have credit in the code ! I have sent the Author the updated file with my changes. Stay tuned…. This really did work brilliantly. Can you let me know why it would now say that there is an error after i used it perfectly fine yesterday? To Author: Can Andrew send you and updated script file that you can upload for everyone’s benefit? This is to address duplicate filenames. Should be available on this site now. Hi, When I run this macro I get the error message that the task can’t be performed on this type of attachment and then it seems to crash. It gives me an error number which seems to vary. the attachment may have malware, and as its parsed its found by your malware protection. The Techguy you saved my life thank you.. but now I am getting an error that the macros on the project are disabled please refer to online help or documentation of the host application to determine how to enable macros? HELP… I love this tool. A great script, I was able to run it on my Outlook 2007 and extract lots of attachments. However, the script is running into an error and breaking. I can’t seem to find out which emails its worked on and which it didn’t. I am getting following error while running the macro. I am using Outlook 2010. Please note and report the following information. Error Description: Outlook cannot perform this action on this type of attachment. i was able to bypass the error by editing the script in the macro. I replaced the “On Error GoTo GetAttachments_err” with “On Error Resume Next”. This skipped the broken attachment and immediately went on to the next email. Thank you , this work for me. This script works fine for me in Outlook 2013. What I would like was a way to have it delete the attachements and replace it with a filelink to the file. @MAX: You say it is free. Can you please post a link to the “free” softaken extractor since the one I see is a paid version. Well written very useful article. There is a problem with the attachment removal in that it crashes on encountering a “Picture (Device Independent Bitmap)”, easiest thing is to test for atmt before trying to build the file name and skip if it is contains the string “…” above. Thank you for the macro. 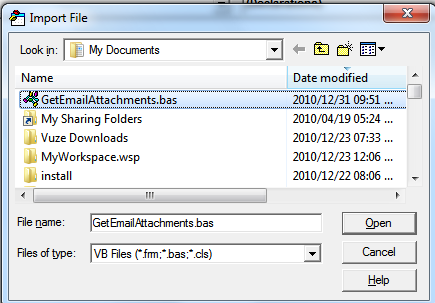 I need to download attachments for the particular date….how do i do that? Can you please share me the code for the same? Nice one. You the best, man!! Thanks a lot!! Is there any way to save the file name as the Email Subject? Veru nice!!! I love it . Into some folders I’m having this error. Do you now whats happening? and in the script: dim ns as namespace. Just want to say a big thank you. This has really helped me out. Perfect execution: click and run! I think I need the original macro over the update part added in. I need it to save the files as and not to add numbers onto the original file name. Other than that this is great. You just save my life!!! Over 100k extracted files!!! Is there a way to modify the script so it deletes only *.pdf files from the selected Outlook folder? Just what I needed to grab a load of regular attachments from a mail folder. Absolute genius sir.. Very very useful. It saved a lot of the files, but I am getting this error on most of the outlook data files folders. “Error number: -2113912827 Error Description: Outlook cannot perform this action on this type of attachment”. Do you have any ideas how to get around this? Lovely little macro does just what you say. Looking for solutions for hours via Thunderbird, Gmail, and Firefox addons. Wish I’d found this first. Thank you for work Techieguy! Thank you very much! Life saver!!!! Can you help how can macro read job number from PDF file and rename and save it in drive? This script is awesome! However I am in a situation where all the emails are sent to me by my client on google and these emails(outlook emails) are saved locally on my PC. I am trying to extract the attachments in each of these emails. Can this be done locally? Thank you for this code! I just extracted over 3,500 files.. it took some time.. 🙂 but it worked great, and saved hours of manual work! Code works perfectly well, but didnt work for me , because I had messages with attachment that had attachment in them. So instead of saving all files that wew in there, it saved me “.msg” files in my folder which I again have to open and look for attachments inside. I couldn’t see whether this has been answered already. I ran it for the first time and it worked to extract all attachments in my inbox. Will it keep automatically working as new emails come in? Or do I have to run it each time (and if so, will it re-download all attachments in my inbox or only the new ones)? Thank you much the great work! I’m getting error with code -2147286788 while running, few files saves and then stop with this error, any idea please? Thank you so much. This worked great the first time. When I exited Outlook it asked whether I wanted to save the VBA session, i Said yes. Now no matter what I try, when I run (even after “reinstalling” the Macro) nothing happens. When i drill down, i get the “Macros are disabled” error that a couple others above were getting. Any idea how to get this to work again like the first time? Thanks a lot, and much more than that. You spared me days of stupid work: I had 7,500 messages with more than 5,000 attachments. Fabulous job you did. If I could, I would marry whoever wrote this. You just saved me hours and hours. Fabulous. This was totally what I needed. I had 676 emails with attachments that I needed to get downloaded today. This did it in less than a minute!!!! Thank you very much. And now, it’s not working. 🙁 “The macros in this project are disabled.” Huh? Thanks for the Macro, it worked like a Champ. And I need a help to customize to set it for specific date range with time like from dd/mm/yyyy hh:mm to dd/mm/yyyy hh:mm, so that I could extract all attachments falls under this date range. Hi, I found all this information very useful, but as I proceeded further, got puzzeled between some steps and found them too complex for a user like me. Then on internet, I stumbled across another Tool i.e., SysTools Attachment Extractor and tried it. This tool worked surprisingly well for me as I was able to save multiple attachments from Outlook emails. I am sure there are severally other tools on the net but are they free like this awesome code? I absolutely love this. It’s one of the best timesaver tools I’ve come across in a long time. It even works on my Email Exchange account at work. We’re using up to date Office 365 software, and this seems to not be an included functionnality yet. I don’t quite understand why it’s not a stock outlook feature..
Fortunately I found your page and it’s working OK for me. outstanding! this also works in outlook 2016! Thanks! Thank you so much! works perfectly in Outlook 2016!! I am not a savvy on VBA can you tell me where can i specify files PDF or EXCEL to extract only. This is the glory and works fantastically in Outlook 2016. Took 1 minute to set up, took 3 seconds to save all mails to folder. Can anyone help how to make it work in office 365 an windows 10 i have 4 pst file and 4 separate emails i need attachments from all of them in outlook. Hi, mine only worked for 1 day, now today when I am trying to carry on exporting attachments, it says it is disabled. Please help!!! IS there a way to have the attachment renamed on export such that it is named according to a piece of the subject line? I have hundreds of emails from an automated source that names every attachment the same BUT the SUBJECT line has the info on the attachment that would be PERFECT in the file name itself. Thank you so much for this, it was of great help!